At the end of December I wrote a post about how I had stopped cooking and baking during the stress of planning a wedding. How I had resolved to get myself back into it using a list of techniques and dishes I wanted to create by the end of 2012. Needless to say I can’t strike a single thing off of that list. My first year as a married woman has not been spent as a domestic goddess, with apron on, baking delicious treats and warming homely dinners. While it is extremely unlikely I will ever be that woman, I can always hope (and pursue) more of a life/work balance for the next year. However there was one thing that shines out above all others on the list, to bake, marzipan and ice a cake. 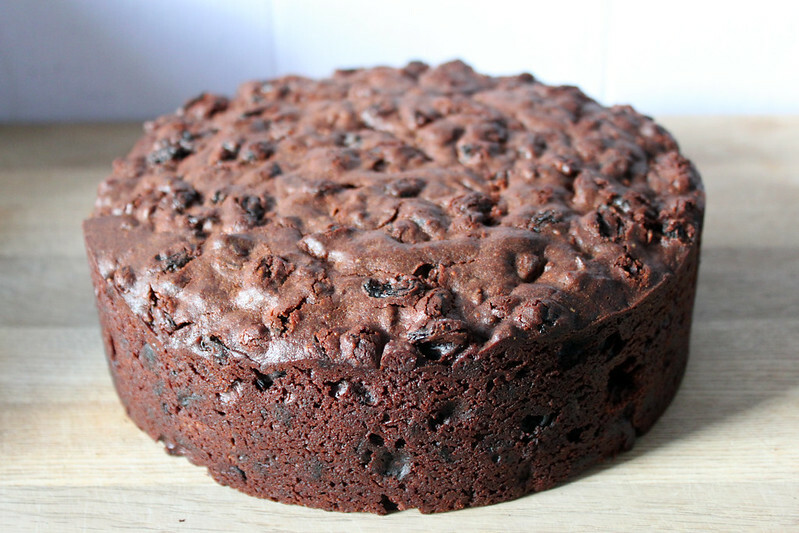 I decided on this Chocolate and Cherry Christmas Cake from the Good Food website. To be honest I chose it cause not a lot of people like standard Christmas cake, I love it myself, but what’s the point of making a huge Christmas cake if no one is going to eat it? It comes together quite easily, melting butter, sugar and chocolate together, then adding the fruit and sherry (or in my case Disaronno). 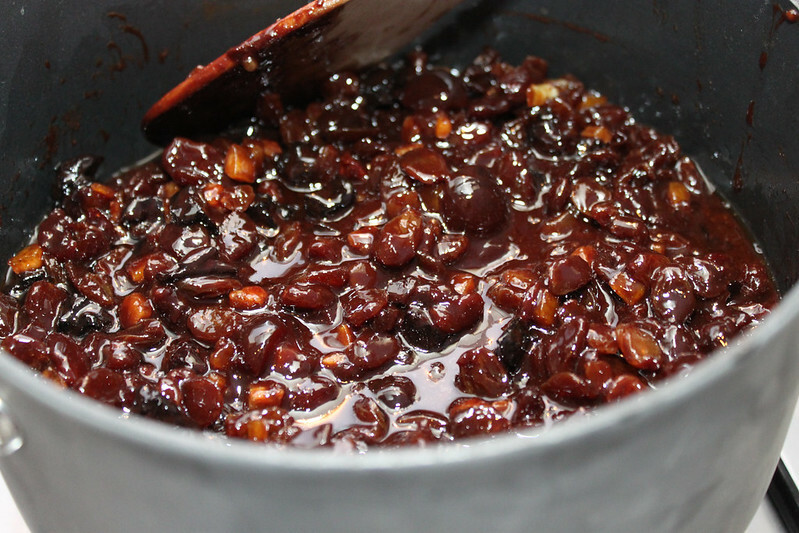 I altered the fruits a bit to reduce what I needed to buy: just sultanas (instead of sultanas and raisins), dried cherries and glacé cherries (instead of cranberries). I have to say it smelt really good by this point. 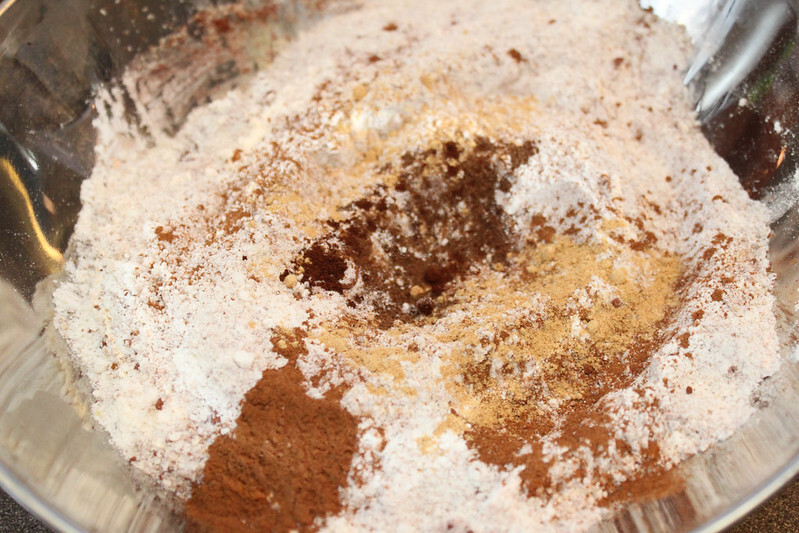 Then you add the flour, ground almonds and mixed spice. I added it in small increments, making sure it was completely mixed before adding more. It’s tough work. Lastly the recipe says baking for 1 and 1/2 hours, but mine took much longer than that for a tooth pick to come out clear. Don’t be afraid to cook it for longer (there are a number of comments about this on the recipe on this as well). After cooling wrap in grease proof paper and seal in an air-tight box. My plan is to feed my cake with a very small amount of Disaronno every couple of weeks until Christmas. Now I have 1 month to browse Pinterest to work out how I am going to ice it!